Name one buffet where you have liked everything? 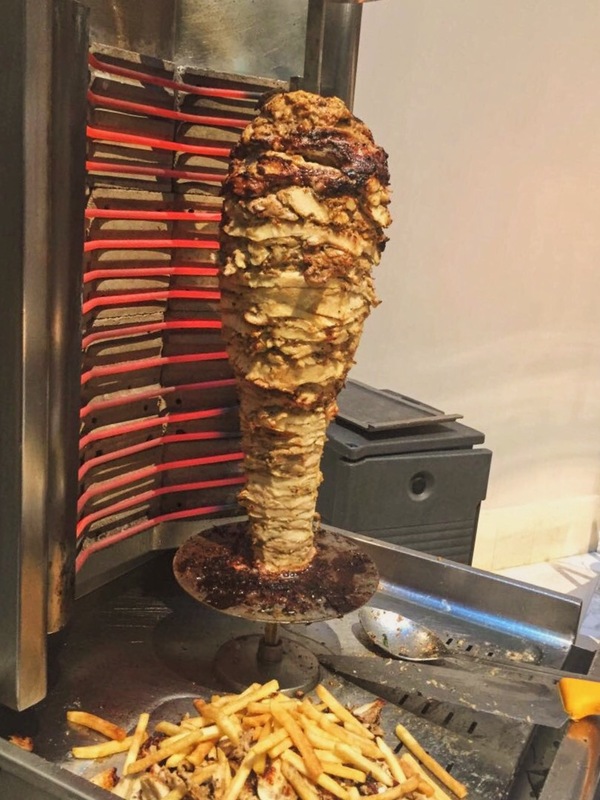 Food Discovery Journey blog has finally discovered Fountain, Mövenpick Hotel Bur Dubai as the best Iftar buffet so far and you will know why a little later. To be honest, I wasn’t excepting much as I visited the Fountain restaurant for their brunch and it was sort of a successful discovery (read here) but this was definitely super successful (Yes, I said it). The decor is changed with Ramadan ornaments along with the same huge dessert station, Arabic and International varieties with the buzzy atmosphere and live music really gave us the true Iftar buffet vibe. All for, only AED 140 (per person) inclusive of soft drinks, tea, coffee and Ramadan juices. Dried Fruits and nuts were waiting on the table for us and there was a separate displayed Corner as well. Fresh bakery selection with local and International assortment. A whole corner was dedicated to the traditional delicacies. I like the fact that they choose the most popular dishes from the middle east. My favourite were Egyptian style Ouzi and Fatayer. Fresh roasted lamb on a bed of moderate spicy rice mixed well with nuts and other condiments. We usually find the lamb/meat smelly but it was perfectly fine here. The flavour of the cheese and spinach with the spices were fresh and makes them a perfect finger food! No Iftar is complete without Fatayer. The variety and options are unbeatable. More than 20 Simple and Composed salads. Poached chicken salad with roasted cauliflower– Slices of delicately chicken with lots of crisp, crunchy cauliflower, and a delicious garlic dressing. A mix of international courses. Potato Harra- Hot, spicy, flavorful and filling side dish. Baked penne Bolognese- We took this twice as it was comforting, warm and very cheesy. Absolutely loved it! Also includes, Jordanian lamb mansaf, Beef Maqluba, Cilantro & lime rice, Chicken picatta, Honey & soy glazed fish fillet with scallions, Calamari fritter with saffron aioli and Garden vegetables. One of the best Indian stations, the food quality and flavors were very impressing. Tawa Murgh- Perfectly cooked chicken pieces in a gravy and masala. Tandoor paneer tikka- Soft, juicy chunks of paneer in tandoori masala with veggies. Overall, it was a super super successful discovery as for the food quality and variety is definitely their first priority. Best for families and worth AED 140! AED 140 per person, inclusive of soft drinks, tea, coffee and Ramadan juices.